← How do you say “paywall” in German? There are two interesting pieces about the media businesses, but they appear in different sections and were probably not planned as a package. Nevertheless, these two articles are more informative if read together. Extra credit: Carr discovered (remembered?) that Ebert played a key role in the success of another media entrepreneur — Oprah Winfrey. As I explain in my recent book Covering America (p 424 in the print edition), it was Ebert who opened Oprah’s eyes to the power of owning a stake in your own brand. Taking his advice, Oprah went from being a media employee to being a media mogul. 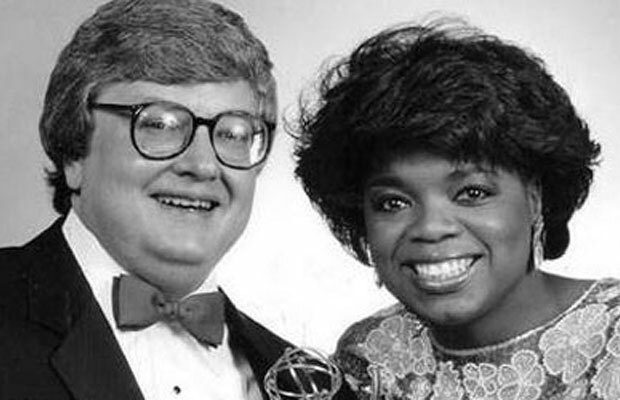 Ebert and Winfrey even dated for a while in Chicago. All that said, Carr’s column should be read in conjunction with an op-ed by the famous (and wealthy) lawyer, legal novelist, and president of the Authors Guild, Scott Turow. In his op-ed, Turow documents the many ways in which publishers and book-sellers worldwide are turning their ingenuity to finding ways to NOT PAY WRITERS. This is a very bad thing, under any circumstances and in any medium. It also undermines the effort of every writer, like Roger Ebert, who wants to escape the hamster wheel of working for someone else and to live independently on the earnings from their own writing (or painting, or photography, or film-making or any creative venture). Yikes. Someone should get him a lawyer!